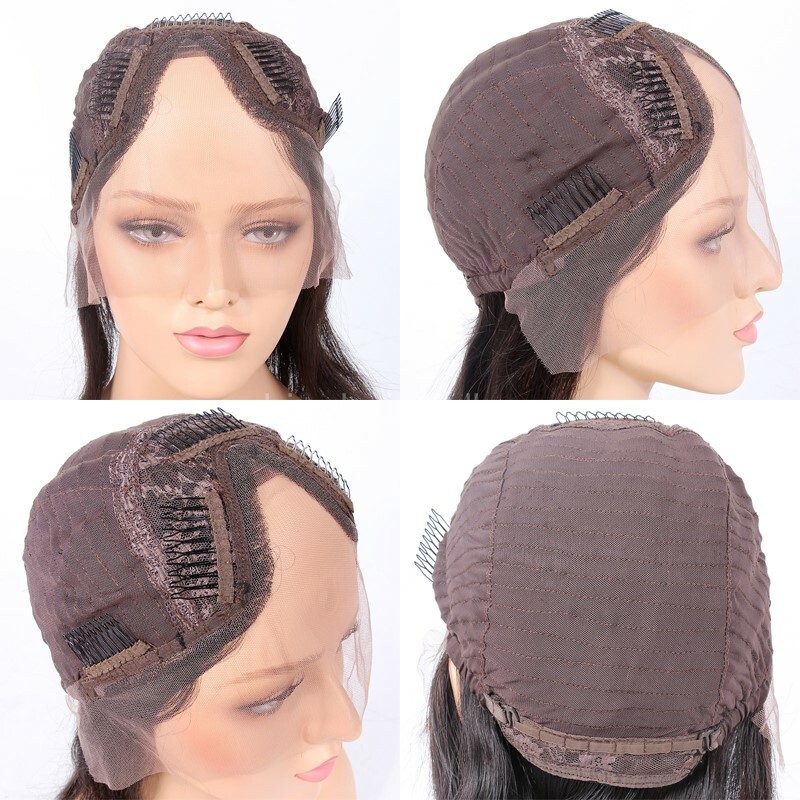 Full Swiss Lace Wig Cap: Strong Swiss Lace with Stretch Lace ear to ear. Can wear high ponytails and need to wear with glue, tape or other adhesives. When it is added adjustable straps in the back and combs inside, you can wear it without glue. 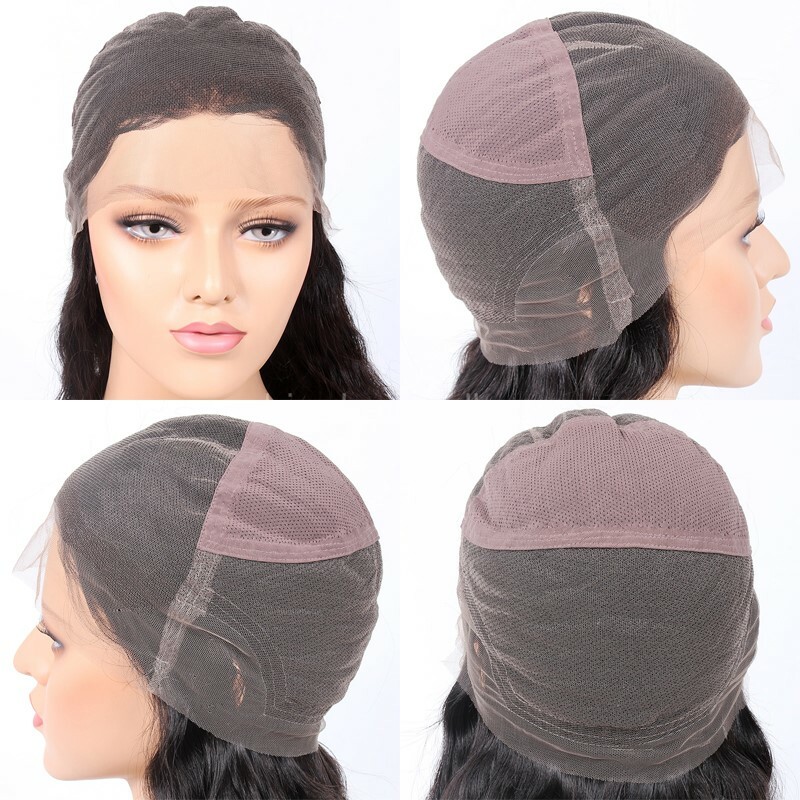 Glueless Full Lace Wig Cap: Full lace with adjustable straps in the back. 3 combs attached .There are 2 small metal sheets in ear areas. This special construction can let you lay your wig more flat in the front and more secure without glue. Silk Top Full Lace Wig Cap: Full Swiss Lace with Silk top. Silk top looks like your own scalp, more natural looking. Can wear high ponytail. 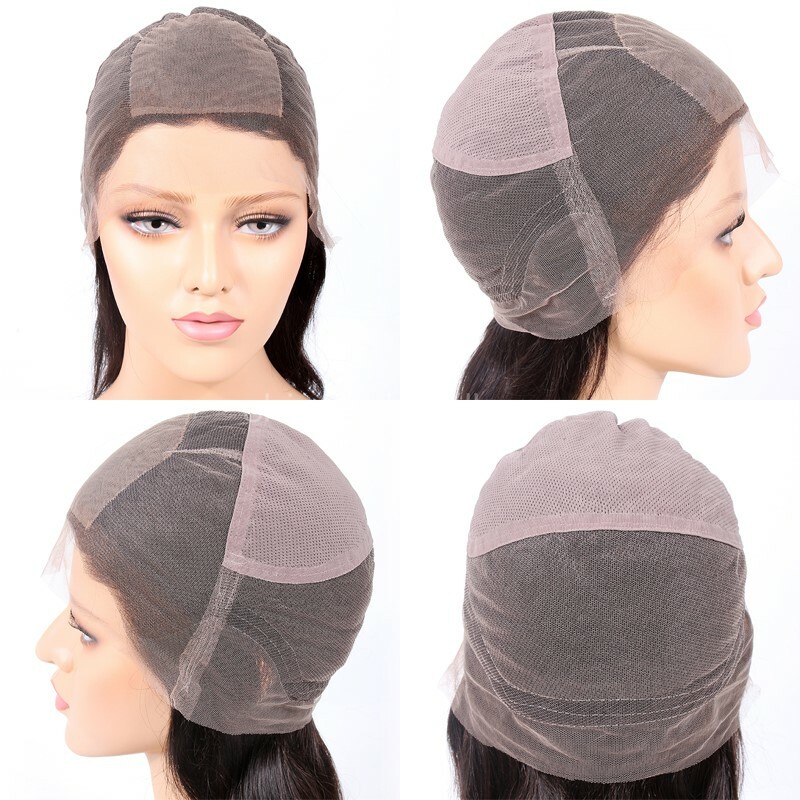 Glueless Silk Top Full Lace Wig Cap: 4X4inches silk top for most realistic natural looking. 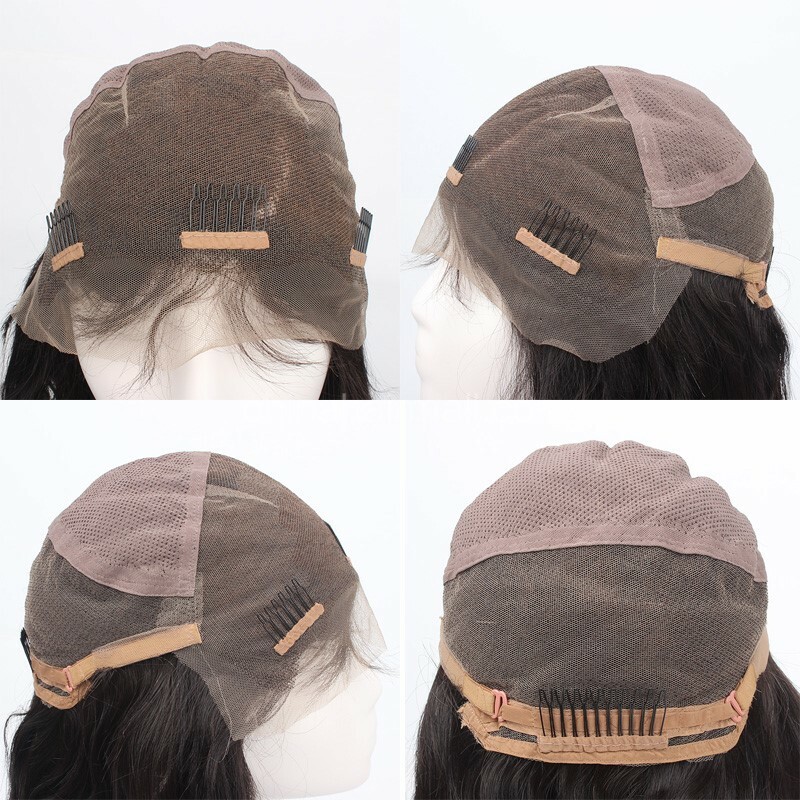 There are 3 combs sewn inside, 2 small metal sheets in ears sections and adjustable straps in the back which can let you lay your wig more flat in the front and more secure without glue. Glueless Silk Top Lace Front Wig Cap: 4inches x4inches size silk base in the front .The back is machine made hair weaves. Also with comfortable Swiss lace in the front and back. Still with adjustable straps and combs. 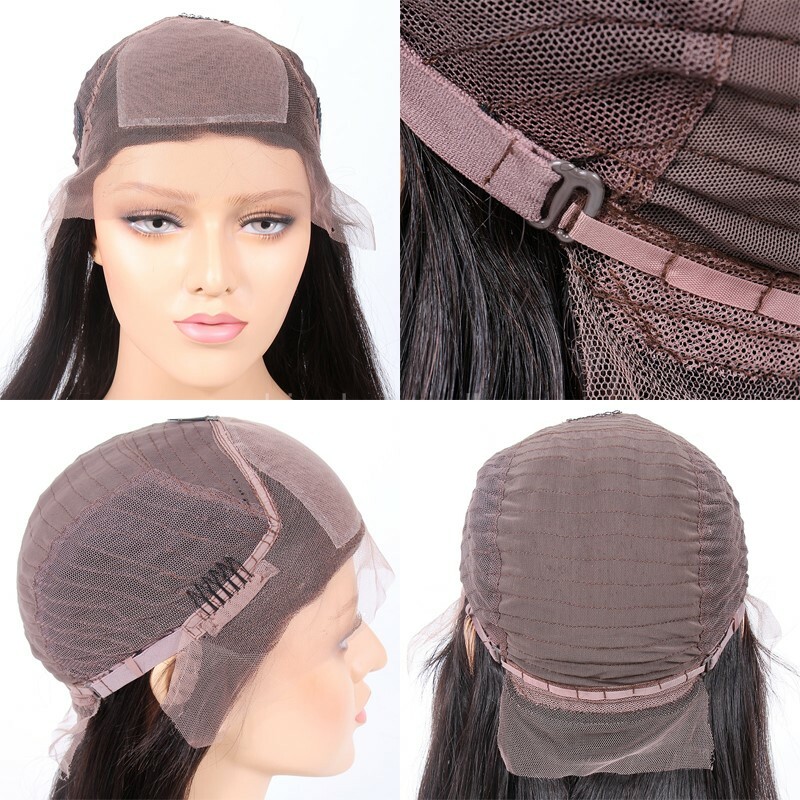 Lace Front Wig Cap: Swiss Lace in the front for parting and Machine made weave/wefts in the back. Also with combs and adjustable straps back can be worn Glueless. Can't wear high ponytail. 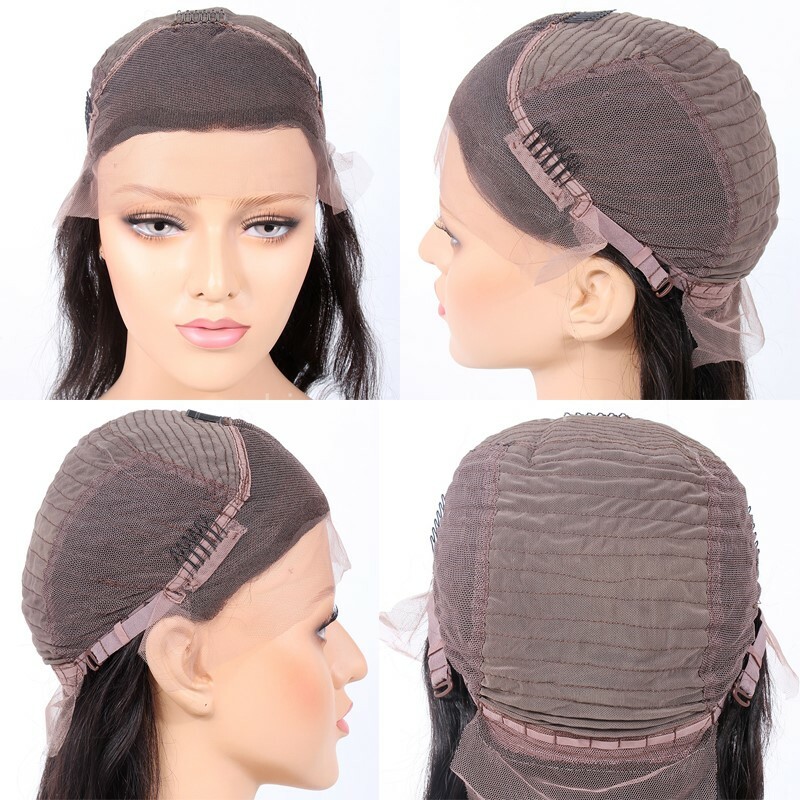 Machine Made Wig Cap: Stretch Lace with adjustable straps back, can be worn glueless. With cowlicks, more natural looking. 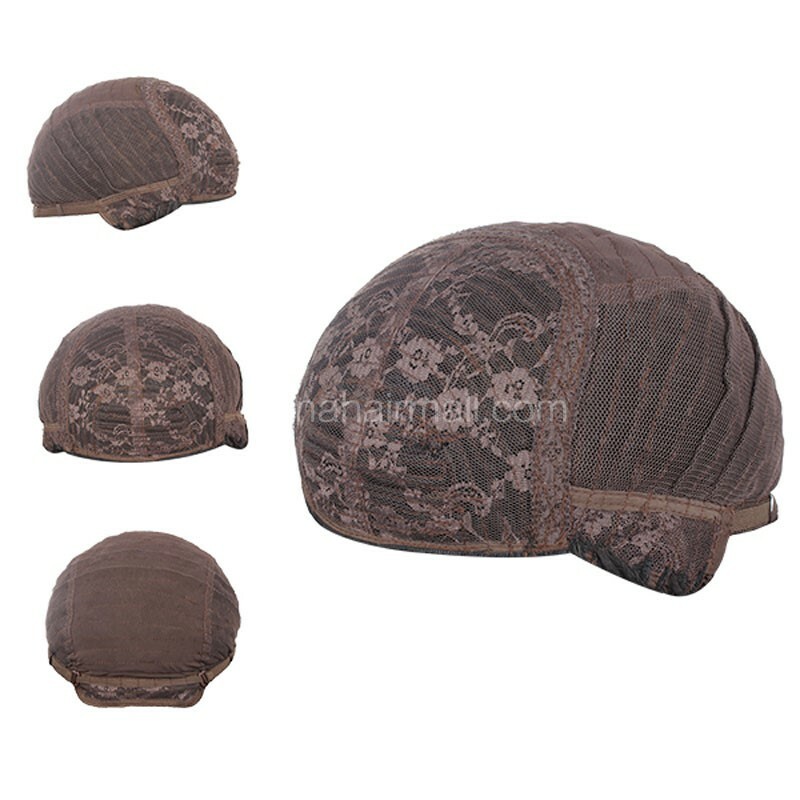 U Part Wig Cap: Stretch Lace can match any size. Also we have right part and left part.